I've been shooting concerts and artists professionally for over 8 years. My first concert photography experience actually started at the age of 6 with Paul McCartney. I wish I still had those shots! 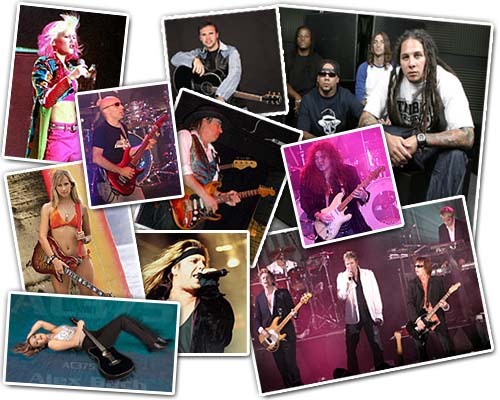 Most of these examples were shot for Carvin Guitars & Pro Sound. Choose from Studio/Daylight photo sessions or from Live Concert shots. © 2005 Cruz Media. All content on this site is owned by the respective Cruz Media client or by Cruz Media. No unauthorized use or distribution.